The marketing for medical equipment and technology in Asia is booming. More than US$24 billion is being spent each year with major hospital construction projects underway in Asia. Government expenditure on the health sector is expected to grow at approximately 8-10% per annum. A new private health sector is emerging in response to growing demand for quality health services. Suppliers to the Asian healthcare markets anticipate a 20-30% growth rate over the next few years. The need for the latest technology, materials and know-how in Asia is therefore greater now than ever before. Increasingly sophisticated management techniques and procuring methods have intensified the competition amongst suppliers. Asian Hospital & Healthcare Management presents the most advanced networking of industry information ever published in the Asian markets. It is a required reading for hospital directors, administrators and medical practitioners within both the public and private sectors. The publication targets the most powerful network of hospital decision makers in the region. The purpose of this is to promote higher standards of healthcare by providing a forum for the exchange of information covering every aspect of hospitals & healthcare services and latest medical technology. 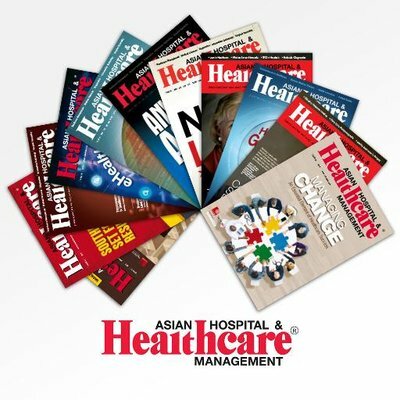 The readers of Asian Hospital & Healthcare Management appreciate the publication because they recognise the value of its independent reporting and the quality of its content. It clearly makes Asian Hospital & Healthcare Management a powerful prospect for advertisers. Published quarterly, Asian Hospital & Healthcare Management is distributed across Asia Pacific, the Middle East, Europe and USA. This includes 5,500 readers who receive the print copies and another 90,000+ readers who receive e-book copies. This translates into an estimated readership base of over 180,000.